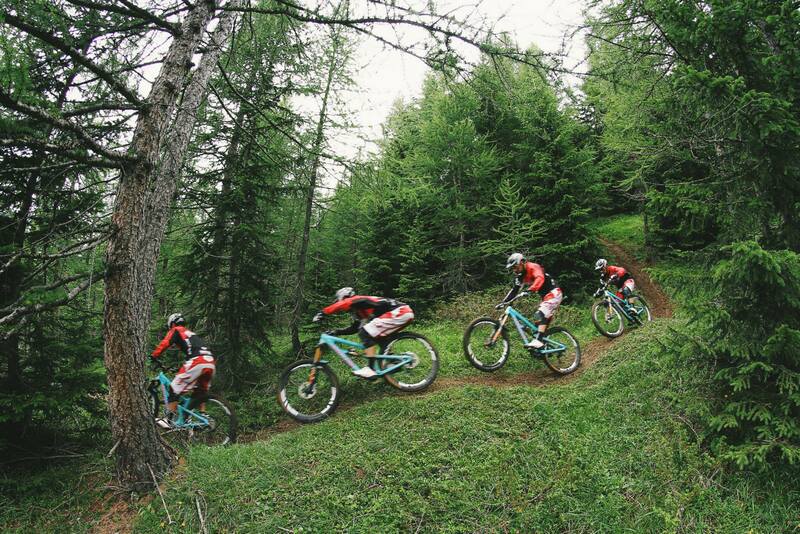 The technical nature and variety of the trails in Les Arcs make it the perfect place for riders of all levels to improve their bike handling skills and general biking confidence, and we’re here to help you make the most of it. 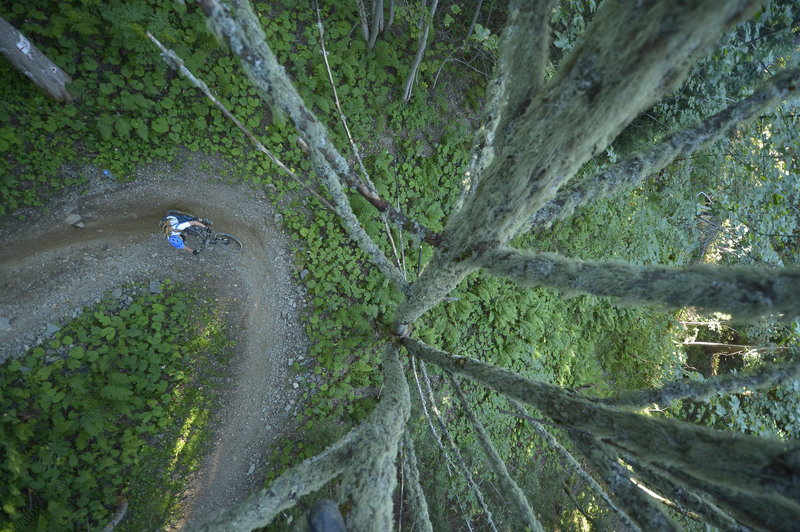 The sheer size of our trail network coupled with easy lift-access for gaining height quickly, means that in one week with trailAddiction you’ll do more technical downhill riding than in several years of UK trailriding. It follows that no matter who you are, or whatever your current technical ability level, your skills can’t fail to improve a great deal. For those who are keen to develop even more quickly whilst still having great fun, we offer informal & free skills training sessions as part of your week with trailAddiction. All skills sessions take place out on the trail with your guide, after all – you are here to ride, not sit around talking about it! For advanced-intermediate riders and above, this is available as part of your guided group’s regular schedule and is not restricted to any particular date or package. Taking the informal approach a step further…..if you or anyone in your group is new to Alpine Riding, or may need help to feel more confident in difficult mountainous terrain, we’re running special Alpine Improvers Groups on Special Dates this season. Please be sure to book for one of these dates if you think you might need this since we can’t guarantee guiding or coaching for improving Alpine riders outside of these specific dates. Unsure what we’d class as an ‘Alpine Improver’? This Guide should help! – Alpine-specific bike set-up. We’ll talk you through optimum tyre pressures, saddle height and position, front and rear suspension set-up, brakes and brake lever set-up. – Balance and weight distribution. – Pedal positioning in corners and near ostacles. – Optimum use of braking whilst cornering and on technical sections. 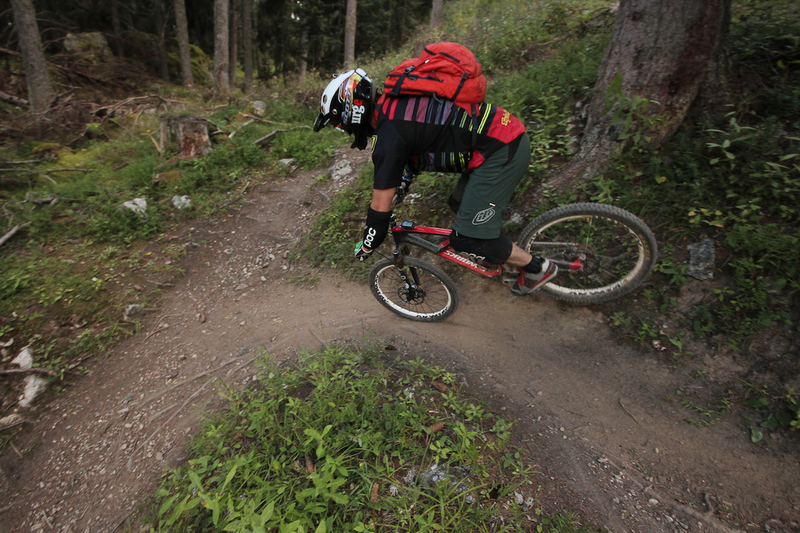 For budding DH racers, there’s ample chance to improve on the world-class Cachette downhill course (part of the Avalanche cup race series) or the infamous “Black 8″ Course. Our DH skills session looks at railing the berms, how to move the bike underneath you, and confidence in the jump and drop sections….in addition to the basics of braking, balance and pedal work. You’ll soon learn that you needen’t always have an 8” travel rig with triple-clamp forks to get down a DH course in a respectable time. If you are feeling particularly confident after our training, try our “funnicular challenge” – beat the funnicular railway down the mountain in time to catch it for the next uplift – the clock is ticking, and you have approx 12 minutes to make it…will you get there in time? Our guides have experience in racing many of the world’s toughest DH races including the infamous Megavalanche in Alpe d’huez – and will be happy to dish out a few tips to competitive types. Starting with easy to manage obstacles, and with minimum option to hurt yourself if it all goes wrong – we’ll gradually build up your skill and confidence to have you mastering this tricky and difficult to learn skill, in no time. It needn’t be as scary as it seems!